You are here: Home / Free Games / Mobile Gaming: Where is it Headed, and What can We Expect from it? The facts and figures don’t lie: games on mobile are definitely here to stay. Gamers around the world are transitioning from the traditional console and PC to mobile, and why not? Mobile is portable, mobile is dynamic, and mobile games can be equally – if not more so – exciting than playing games on the traditional console or PC. As mentioned, the facts and figures prove the increasing popularity of mobile gaming amongst gamers the world over. Let’s have a look at the landscape of mobile games: where it is headed, and what you can expect from it. Without a doubt, mobile gaming is popular in a plethora of countries. But there is one country where games on mobile have been downloaded more than in any other: China. China has a total of 31% of the world’s game installs, whilst the US is the second with 11% of game installs around the world. The third country on the list is Brazil with 5%, but other countries, such as Russia, Japan, Mexico, and the United Kingdom are quickly following suit. About 65% of total mobile game installations are taken over by the countries mentioned above. 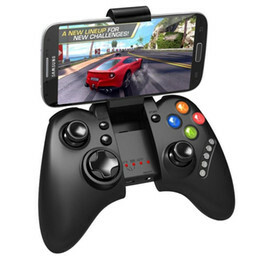 But another big question is, what devices are gamers using for their games? The answer to this is simple: in China, 32.5% of gamers are installing their games on iOS devices, whilst in the US, 19.9% of gamers are using iOS for their games. Android users account for 30.7% of game installations in China, whilst 8.8% of users in the US install their favourite games on Android. 4.8% of gamers in the UK install their games on iOS devices, whilst 5.5% of gamers in Brazil prefer Android devices for their mobile games. The mobile game industry is growing exponentially as we speak. In a report, it was stated that the revenues for mobile gaming have increased by 23% for the past few years and has now reached a total revenue of $30 billion per year. This is a staggering growth figure. There are some brands that are also more established – and popular – than most. These brands include Marvel, with its Marvel: Contest of Champions game, and Mortal Kombat, with Mortal Kombat X. Yet other brands, such as Fifa, Angry Birds, and Need for Speed are pretty popular as well. Lots of games will increasingly become more like movies and will offer a lot more features that gamers love. The quality of games will become more enhanced than ever, with much better graphics and a better polish. Mobile slots, one of the simplest games anyone could ever play, are bolder and more striking, literally attracting gamers from all around the world with their high resolutions and better themes. As a matter of fact, casino and slot games are some of the most popular games on mobile today, what with their different features, including chat capability (many gamers are inherently social), their chance to win some real money, as well as their simplicity. The evolution of games on mobile is expected to stay strong. Everybody has a smart phone, and mobile search is now outperforming desktop search. It won’t be long before this trend follows with mobile gaming too.